I always tell my nice “I can never say no to a cupcake” and it’s so, so true. I have always loved small sized desserts and cupcakes are one of my favorites because they’re tiny cakes that satisfy my sweet cravings, as opposed to eating a big piece of cake. 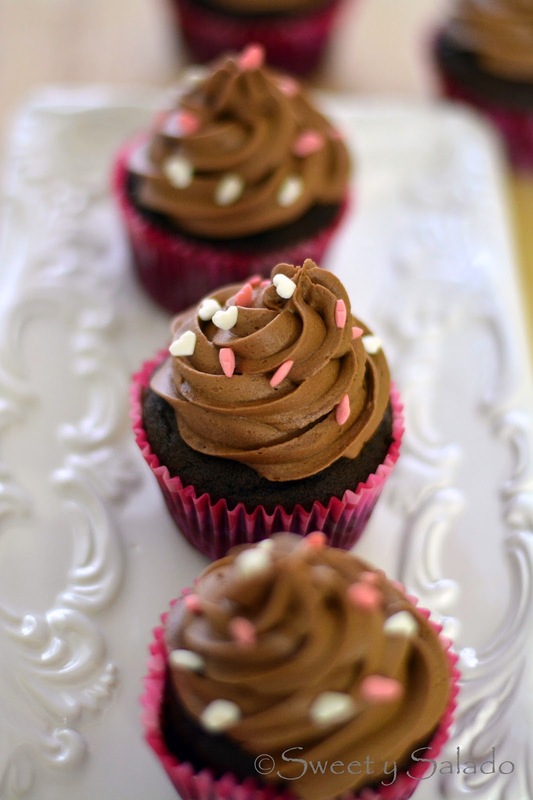 And of course, you can’t go wrong with chocolate cupcakes topped with chocolate buttercream, YUMM!!! Another reason why I love making cupcakes is that they really don’t take that long to make. You can seriously make them and then decorate them in about 40-45 minutes. 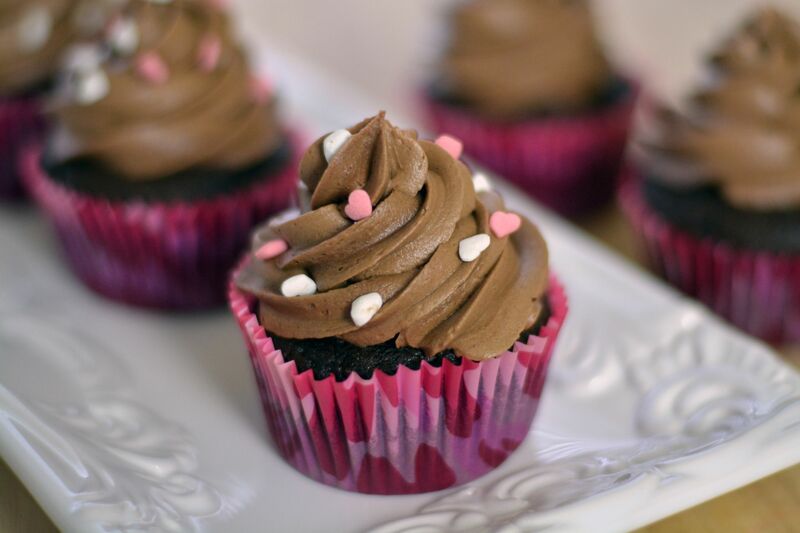 Isn’t it awesome that in less than an hour you can enjoy homemade cupcakes? 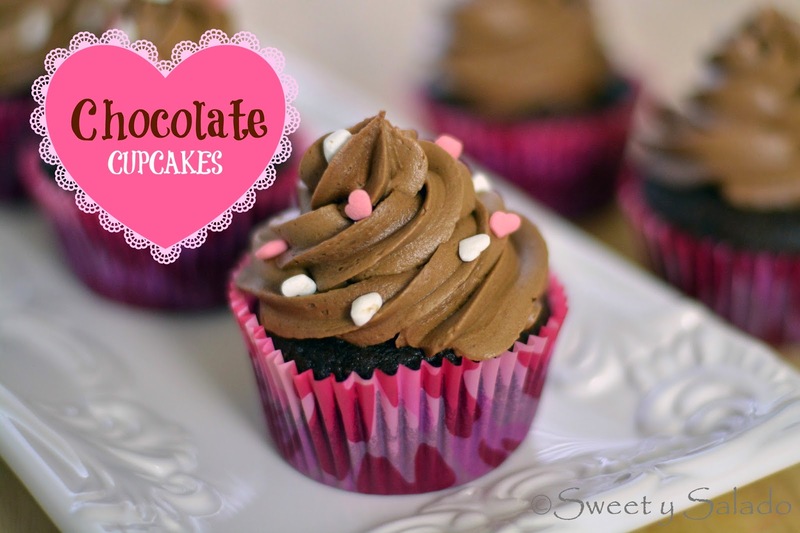 To decorate these chocolate cupcakes I always use my go to chocolate buttercream which is super creamy and delicious, so if you want to check it out, you can click here to see the recipe. In a large bowl mix the flour, cocoa powder, baking powder, baking soda and salt. Set aside. Melt the chocolate chips in the microwave at 30 second intervals. Set aside. In a large mixing bowl, cream the butter and white granulated sugar. Then add the brown sugar, eggs, melted chocolate and vanilla extract. Mix well until smooth. Now add ½ the amount of the flour mixture and mix until incorporated. Then add the buttermilk and mix again until well blended. And finally add the last amount of flour mixture and mix again. Scrape the sides of the bowl to make sure everything is well incorporated and mix one last time until combined, do not over mix. Line a cupcake baking pan with cupcake liners and fill them with the batter only halfway. Bake at 350ºF (180ºC) for about 18 minutes or until a toothpick inserted in the middle comes out clean. Allow to cool completely before frosting. Fill a pastry bag with chocolate buttercream fitted with the tip of your choice (ex. : Wilton 1M star tip) and decorate each cupcake any way you want. Finish with sprinkles if desired.